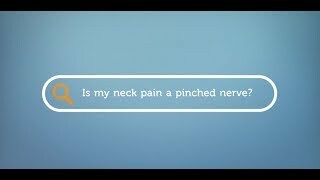 Is my neck pain a pinched nerve? Conservative treatments often work well for a pinched nerve, which can include neck and arm pain, numbness and tingling. Instrument-assisted soft tissue mobilization, often referred to at the Graston technique or muscle scraping, can be effective in treating repetition injuries. 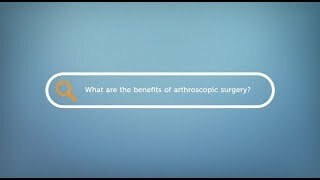 What does it mean to be a fellowship trained orthopedic surgeon? Additional fellowship training exposes doctors to particular specialties. Foot and ankle specialist performs four surgeries in just two months on patients who have sustained injuries while riding scooters. After a break, fracture, sprain or dislocation, a cast allows bones to stay in place as they heal. Being injured is never fun, but there are a few fun facts about casts beyond the fact that all your friends can sign them. For patients with a contracture of the hand due to Dupuytren's disease, Needle Aponeurotomy offers a minimally invasive treatment and rapid return to normal activities. Bicep tendinitis is the inflammation of the upper bicep tendon and those who experience it often complain of shoulder pain. 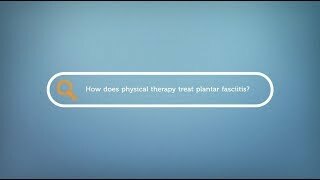 How does physical therapy treat plantar fascitis? The pain from plantar fascitis is felt in the heel of the foot and can often feel like walking on a bruise. Physical Therapist Scott Beecher shares information about how therapy can reduce the pain and inflammation attributed to plantar fascitis. Is the bump on my knee bursitis? Have a knot on your knee or elbow? Dr. John Meade explains bursitis, which is often a result of minor or repetitive trauma. For many patients, dry needling can reduce pain in just one session. We look at six things to know about this physical therapist delivered treatment that can address many musculoskeletal conditions. Nonoperative and surgical treatments are available for basilar joint arthritis, the joint at the base of the thumb that allows the thumb to swivel and pivot. 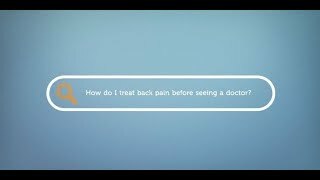 How do I treat back pain before seeing a doctor? Ready to try a few steps at home to relieve your back pain? Here are three steps to take before you give your physician a call. I have back pain – should I go to urgent care? Some symptoms and situations indicate your back pain should be addressed immediately. Does your job give you a pain in the neck or back? Patellofemoral pain syndrome is pain in the front of the knee. It frequently occurs in teenagers, manual laborers, and athletes. Sacroiliac joint syndrome, or SI joint syndrome, is a frequent culprit of low back pain, and may also create pain in the buttock region, groin and lower extremities. Stress fractures are common injuries for runners with pain starting as they begin to run and progressively becoming more painful and localized. How should you treat a nosebleed? When a nosebleed happens, there is no cause for alarm but steps should be taken to minimize blood loss. Should you lean forward? Tilt your head back? Physician Assistant Andy Hylton shares four steps to treat nosebleeds. Plantar fasciitis affects nearly 2 million Americans each year, with over 10% of the population suffering from this condition at some point over their lifetime. 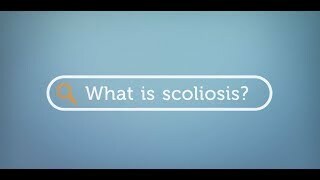 Wondering what exactly is scoliosis? Dr. Todd Chapman of OrthoCarolina's Spine Center helps us define scoliosis and learn more about its prevalence and treatments. The foot and ankle are critical for human motion and support the body mainly by acting as shock absorbers and enabling you to balance and move. Learn more about arthritis symptoms and treatments for this key piece of your body. Mattress Advisor set out to understand the complicated relationship between pain, sleep and the healing process. So we called on the expertise of Dr. Kinjal Parikh, Doctor of Osteopathic Medicine with OrthoCarolina.